2018 September 24: Giveaway Opportunity! Aquarium Of The Pacific Hosts 17th Annual Baja Splash Cultural Festival September 29 and 30, 2018 Giveaway Opportunity! 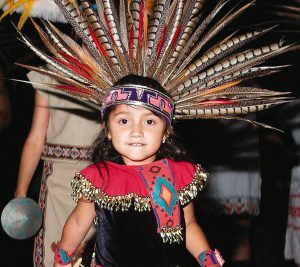 Aquarium’s festival celebrates National Hispanic Heritage Month and features dance and music performances, bilingual environmental programs, arts and crafts, and a special annual award ceremony. In celebration of National Hispanic Heritage Month, which honors Latino and Hispanic cultures, the Aquarium of the Pacific will host its seventeenth annual Baja Splash Cultural Festival on Saturday and Sunday, September 29 and 30, 2018, from 9:00 a.m. to 5:00 p.m. This event will feature bilingual environmental educational programs, including films and underwater presentations with divers, and traditional dance, crafts, music, and interactive children’s programs. The festival will also include an award ceremony at on Sunday 1:40 p.m. honoring Andrés Pruna, who is a Cuban-American artist, former National Geographic photographer, and ocean explorer. The Aquarium will honor Pruna with its prestigious Heritage Award for his dedication to inspiring others to care about wildlife through his artwork, from his photography and films to his paintings, and his role in ocean exploration. Latin American folk dancers, Aztec dancers, mariachi musicians, and other entertainers will perform in front of the Aquarium’s tallest exhibit, the Honda Blue Cavern—home to giant sea bass, rays, and other inhabitants of local kelp forests. 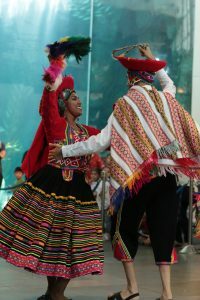 Guests can witness colorful dances from México, Guatemala, El Salvador, Perú, Cuba, Colombia, and beyond. The Aquarium will feature interactive Central and South American music programs for all ages, live music from Bolivia and Ecuador, and Garifuna drumming, singing, and dance. Garifuna culture is rooted in the traditions of people of Carib, Arawak, and African ancestry and exists in various countries, including Honduras, Belize, Nicaragua, and Guatemala. Hands-on activities for attendees include children’s crafts. Baja Splash highlights Mexico’s Gulf of California, which is one of the most important wildlife havens in the world. Visitors can learn more about this important ecosystem, the threats it faces, and how people can help by exploring the Aquarium’s Gulf of California exhibition created with World Wildlife Fund Mexico. Guests can also learn about the vaquita, a porpoise found only in Baja’s upper Gulf of California, through film screenings and an interactive station. We have teamed up for a Giveaway! One winner will win a Family-4-Pack of tickets for either Saturday or Sunday! To enter simply leave a comment below! Deadline to enter is Thursday, September 27th at 9 am PST. Winner will be notified later that day! Credit for Information and photos: Courtesy of The Aquarium of the Pacific. The nonprofit Aquarium of the Pacific is a community gathering place where diverse cultures and the arts are celebrated and where important challenges facing our planet are explored by scientists, policymakers, and stakeholders in search of sustainable solutions. The Aquarium is dedicated to conserving and building nature and nature’s services by building the interactions between and among peoples. Home to more than 11,000 animals, Aquarium exhibits include the Ocean Science Center, Molina Animal Care Center, and the new Tentacles and Ink and FROGS: Dazzling & Disappearing exhibits. Beyond its animal exhibits, the Aquarium offers educational programs for people of all ages, from hands-on activities to lectures by leading scientists. Field trips for schoolchildren are offered at a heavily discounted rate from $7 to $8.50 per student. The Aquarium has won a 2015 Travelers’ Choice Award for Aquariums, as awarded by TripAdvisor® travelers. The Aquarium offers memberships with unlimited FREE admission for 12 months, VIP Entrance, and other special benefits.